Lapses of ethics and subsequent scandals in the business world are all-too-easy to find—Wells Fargo employees opening sham accounts with tacit nods of approval from management, Fox News Chairman Roger Ailes stepping down after female employees claim he sexually harassed them, Drug giant Mylan price gouging the life-saving EpiPen, automaker Volkswagen using software to deceive authorities about diesel emissions—the list goes on. Although these misdeeds are disturbing, they do give business communication instructors a way to enliven their courses with real-life cases from today’s headlines and provide them with fodder with which they can teach their students about ethical behavior. Simply put, ethics are a set of principles that define right from wrong. In the business world, ethical standards hold professionals to a higher standard than the law, because while an action may be legal, it may not be the right thing to do. Acting ethically requires choosing the right course of action given a specific set of circumstances. Doing so is never easy, but identifying the primary issues surrounding the decision will make the task less difficult. 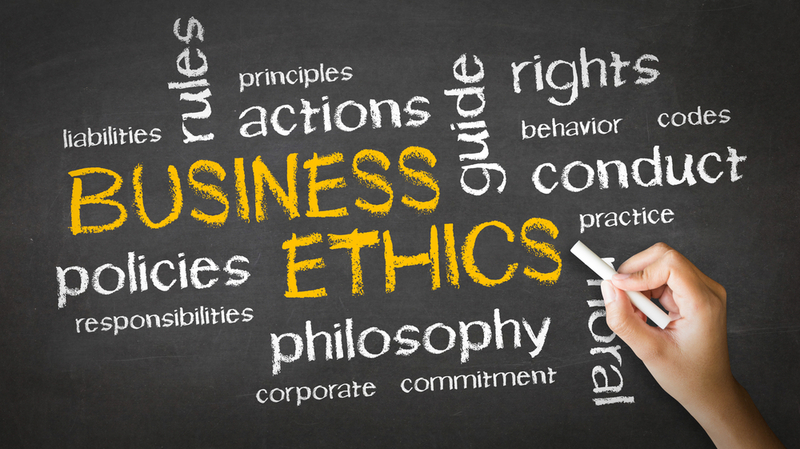 Teaching ethics in the context of the business communication classroom can be challenging. However, thoughtful analysis of unethical business decisions can prepare students to act ethically themselves. They will also see how unethical behaviors not only affect a business’s bottom line, but how those actions harm innocent people just like them. 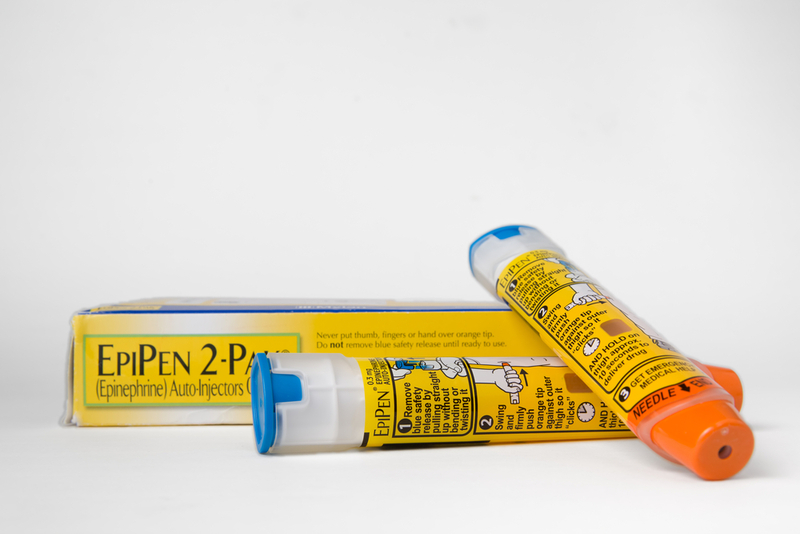 The EpiPen is a life-saving syringe containing epinephrine, a medicine that treats severe allergic reactions to a substance such as peanuts or the venom from a bee sting. People with these types of allergies can die within minutes of being exposed to the allergens, so having the syringe is a necessity. The condition is not rare—doctors wrote 3.6 million prescriptions for the pens in 2015. The drug is a big money maker for manufacturer Mylan. Although the medicine itself is inexpensive, the delivery system hikes up the price of the pens. Still, in 2009, a two-pack of the pens cost $100; in 2016, the same medicine cost $618, a 400 percent increase. Because consumers had no alternative to EpiPens, they had to pay the inflated price or do without the life-saving medicine. Public outrage over the price jump resulted in Mylan CEO Heather Bresch (who earned $19 million in 2015) testifying to Congress to explain what consumers considered price gouging. In response to the well-publicized scandal, Mylan produced a generic version of the EpiPen and marketed it for $300. The episode has brought drug price gouging to the forefront of public discussions surround healthcare costs. Imagine you lead Mylan’s marketing department and realize that because millions of people require your product, you have a built-in market with no competitors. You do the math and realize how much money your firm would make by raising the product’s price. Should you recommend a series of price hikes to pad your organization’s bottom line? 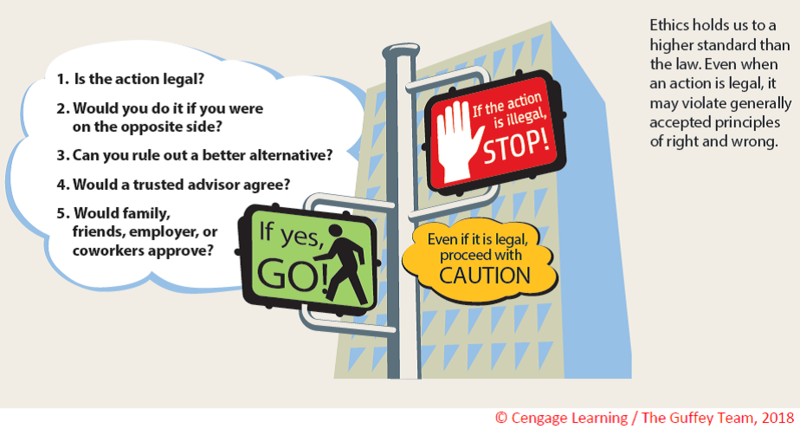 When analyzing whether an action is ethical, it’s useful to think through the situation by answering these five questions. Is the action legal? If the answer is no, the action is not ethically sound and should be dropped. Would you do it if you were on the opposite side? Ethical decisions consider how an action will affect others. Can you find a better alternative? Situations rarely have just one resolution. Would a trusted advisor agree? The input of a respected mentor can clarify matters. Would family, friends, employer, or coworkers approve? If those you care about and work with would disapprove, the action is likely better left undone. Is the action legal? The decision to raise the price was legal. Would you do it if you were on the opposite side? If you had an allergy that could kill you, you would likely would want to carry the pen and would object to the price increases. Can you find a better alternative? Sell the pens in bulk to sell more but at a lower price, provide a generic version, or seek price hikes from other Mylan drugs. Would a trusted advisor agree? While we live in a free market economy, few people would agree that forcing consumers who have no alternative to your product—and who need that product to save them from a life-threatening condition—was ethical. Would family, friends, employer, or coworkers approve? To jack up the price is exploitive. This entry was posted in 2. Featured Articles and tagged busisiness communication and ethics, teaching ethics on April 6, 2017 by bizcombuzz.